WE INTERRUPT THIS IMPORTANT CHARACTER REVEAL TO BRING YOU HALLOWEEN GREETINGS! 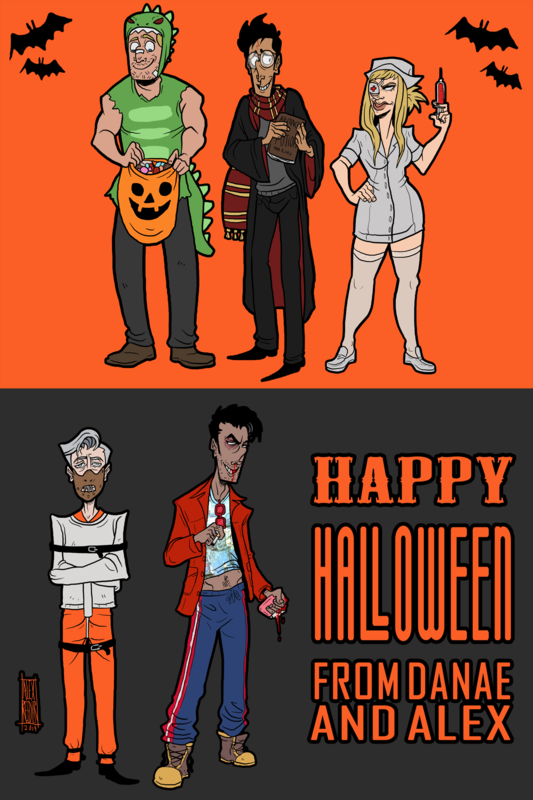 And from top left we have Charlie as Godzilla, Lawrence as Harry Potter, Chloe as Elle Driver from Kill Bill, The Boss as Hannibal Lecter from Silence of the Lambs and Bobby as Tyler Durden from Fight Club! We hope you guys have a SPOOKY Halloween, we will return to our regular updates next week! Chloe as Elle Driver!! Perfect! All of these are PERFECT! These costumes fir too well, it’s disturbing.